The Charleston Ballet is set to launch their 63rd season the weekend of October 12-13, 2018 at the Charleston Civic Center Little Theater. LE CORSAIRE, The Pirate, is will be performed at 8:00 p.m. on Friday & Saturday, October 12th and 13th. Filled with action, passion and romance, LE CORSAIRE will open the Charleston Ballet’s season in October. Based on Lord Byron’s poem, Le Corsaire follows Conrad, a dashing pirate as he journeys across the sea to save the beautiful Medora. This will be our first staging of the full-length work. Dancers from the Columbia Classical Ballet of South Carolina will join our company for this thrilling tale. Sponsors for the season are being secured now. If interested in supporting West Virginia’s Ballet, call them at 304-342-6541. Or click here to purchase your tickets. 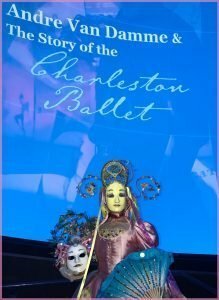 Since its debut performance in April 1956 under the skillful direction of founder Andre Van Damme, the Charleston Ballet has presented well over 175 original works as well as many traditional ballet stagings for West Virginia audiences. With a repertory that includes traditional classical favorites, innovative contemporary works and interpretive folk styles, the Charleston Ballet has given West Virginia a unique cultural legacy. In 1972, the company was bestowed the title, Official West Virginia State Ballet, and was the first ballet company to initiate the state theater at the West Virginia Cultural Center. In addition to the talented local artists, the ballet presents an outstanding slate of guest dancers, guest choreographers and other West Virginia dance companies on its programs. It has performed on various community art series and many collaborative performances and events with area organizations and business, presented many student concerts, and participates annually in the West Virginia Dance Festivals. BALLET FOR ALL is a special program for qualifying families that offers low-priced tickets to ballet performances. Since Van Damme’s death in 1989, the company’s director has been Kim Pauley. The Charleston Ballet continues the vision of its founder in providing quality ballet programming for its artists and its audiences. In coordination with the American Academy Ballet, the Charleston Ballet’s Official School, a scholarship program offers ballet study for culturally disadvantaged children. The American Academy Ballet was also established by Van Damme and now directed by Kim Pauley, offers training to dancers (ages 4-professional levels) in Ballet, Contemporary, and Folk dancing styles. Classes are conducted during the school year and in the summer a Dance Intensive is conducted with many additional master class opportunities from nationally known guest teachers.